In this confrontation between two mounted warriors, the conquering Indian carries a feathered spear and wears a red cape and horned headdress. The hair style of the fallen Indian resembles that of Navajo of the time period. 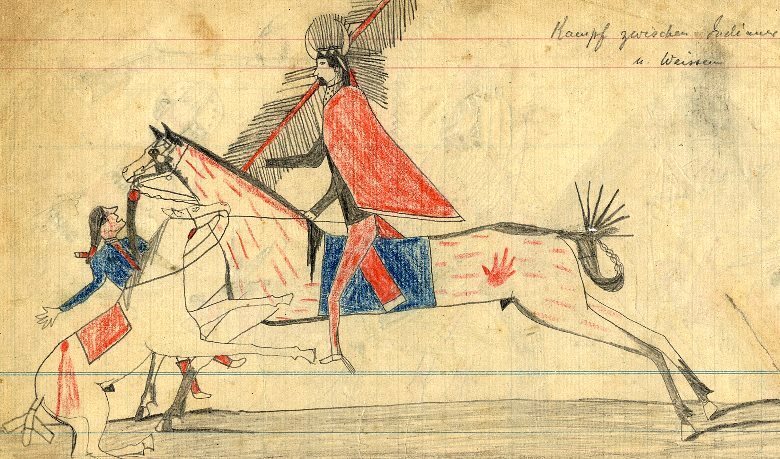 Note the red hand print on the horse and the carefully drawn ground plane. TARL Archives.